One of the greatest turn-based strategy goes mobile, keeping athmosphere of original PC game, with all key features like authentical battle mode, storyline etc! The game takes place in a fictional world Nevendaar. At the beginning of the game the player chooses a class of a ruler: Alderman, Warlord or Archmage. Each ruler has his bonuses, defining the style of the game. 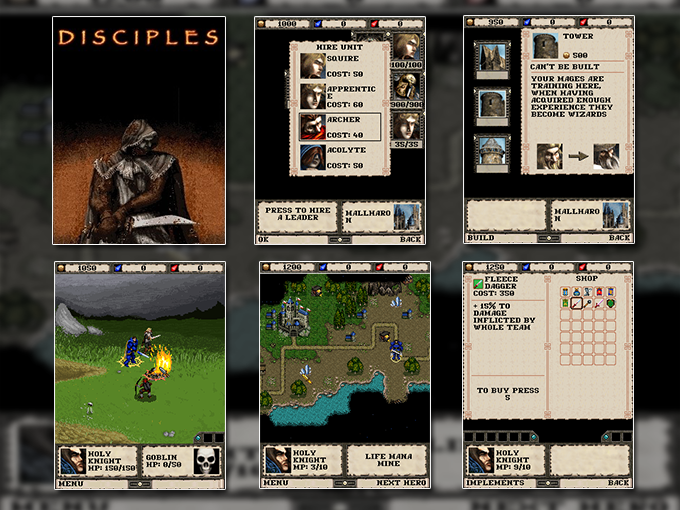 “Disciples” game process includes two components: a capital improvement that gives access to new troops and abilities, as well as the study of magic spells, used on the strategic map; and use the heroes in the lead of small detachments to conduct reconnaissance, making attacks and seizure of lands and resources.